Sapphire Pear is a full service interior design firm that is quite passionate about helping clients achieve their design dream and goals. Design is such a personal way to express yourself and here at Sapphire Pear our designers have a combined 35+ years helping clients breath life and personality into residential and commercial projects. With great passion, talent, and education our design team implements thoughtful and timeless designs with ease. Sapphire Pear also has a custom curated home décor store where you can purchase original or one of a kind pieces. We invite you to stop in and browse our unique shop located in Rocky River, Ohio. Design Fees based on individual project, range from $500 to $50,000. 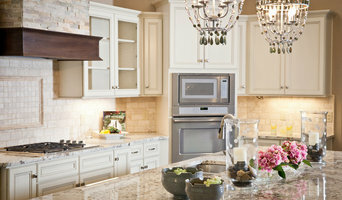 Custom Furniture $ 3,000 to $ 1,00,000.00 Custom Window Treatments $2,500.00 to $50,000.00. These are estimates based on past projects and actual costs may vary depending on the scope of the project. Free 30 minute meet and greet meeting at our office to discuss how we work and learn about your current project. William J. Fugo Jr. Architecture excels in creating extraordinary homes of consistent design quality and diverse styles. With over 27 years of experience, our focus is on creating successful projects by providing the very best in architectural service and design. Our services ensure that each process is unique and that client expectations are exceeded. 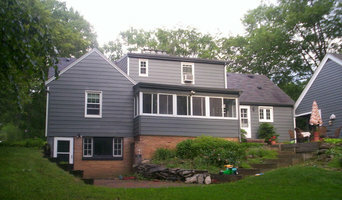 Our experience consists of both residential and commercial clients. Give us a call today, we would love to hear from you! Cynthia J. Hoffman Interior Design, Inc.
Medina County Full Service Interior Design Firm | Best of Houzz 2019! Since we spend 98% of our lives indoors, these spaces should be comfortable, healthy, and supportive. I collaborate with clients in hopes of providing healthy and efficient use of space all while reflecting the individual personalities of the residents or the brand of the company. New Leaf Home Design, LLC specializes in architectural design of residential additions and renovations, as well as right-sized super energy efficient new homes. My philosophy is that the quality of design and materials in a house are ultimately more enjoyable than lots of square footage: the “Not So Big House”* idea. 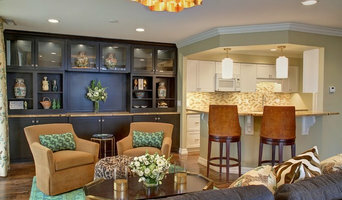 I strive to use your home’s existing spaces as well as possible, and add just enough new area to accomplish your goals. Green design is also central to the New Leaf philosophy. A home designed for energy efficiency will save you money on heating and cooling costs, and be more comfortable to live in too! Many opportunities for better construction are missed not because of extra costs, but because people are not informed of the choices they have to improve the performance of their home. New Leaf gives you those choices! Blulens Design offers interior design services for both residential and commercial clients. Working directly with builders and trades, Blulens Design assists clients with bringing pleasing aesthetics and functionality into their living and working spaces. Together with her staff, Linda Smith commits to providing a design that suits her clients style, and exceeds the projects expectations. Cynthia J. Hoffman, ASID creates sanctuaries for the modern being. What shapes the spaces we design could be considered design alchemy with the catalyst being the client's aspirations. Each bespoke project integrates desires, lifestyle, personality, budget, color, function, furnishings, site, location and much more to achieve beautiful and enjoyable surroundings. 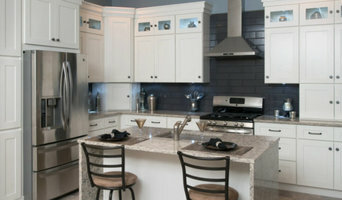 Since 1986 we have been designing interior and exterior residential and commercial spaces in northeast Ohio and beyond. From a groovy one-room makeover, to a modest remodel, to a luxurious turnkey residence, we can help you realize your dreams. Consider us your translator in the language of creative design, where our knowledge and experience will allow you to become an integral part of the process. Our expertise will guide you through the blueprint phase, help you visualize through 3-D rendering and provide complete project management, furnishing selection, to final installation. Cynthia is a graduate of Kent State University Interior Design program, a professional member of ASID, and a life-long student of design.